EUROCALL 2008 conference review: Memoires... Joanna Jendryczka-Wierszycka. Project: Training Teachers in the Use of ICT and Teaching Greek as a Second Language in Cyprus: the design, pilot and initial evaluation of a blended teacher training curriculum, part of the European Socrates, Comenius 2.1 ECNTLT project. Salomi Papadima-Sophocleous. Article: Free Online Machine Translation as a New Form of Cheating in Foreign Language Written Production. Ana Niño. Article: Is the TOEFL exam aimed at everyone? Research considerations in the training and application of the TOEFL exam abroad. Jesús García Laborda. 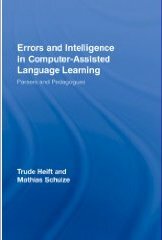 Book review: Errors and Intelligence in Computer-Assisted Language Learning: Parsers and Pedagogues. Trude Heift and Mathias Schulze. Report on CMC SIG regional event: CMC and Language Learning: Research and Practice. Francesca Helm. The forthcoming issue of ReCALL (Vol. 21, Part 1) will be distributed to EUROCALL members in Januaery 2009. Please send articles, software reviews, details of relevant events or other items of interest for future issues to June Thompson, Editor ReCALL d.j.thompson @ hull.ac.uk. My arrival in Hungary started with a bit of a surprise- I felt as if my plane had changed its route, flying off to the Mediterranean instead. 30 degrees Celcius is what greeted me at the airport. Well, I should be glad- in my home country summer is a bygone fact... Anyway, traveling further to Székesfehérvár was not as easy as one might have hoped- and the reason is quite trivial- the place name. Well, I've tried it before, with a bit of help from Wikipedia's IPA transcription and the recording placed there. Then finding your way to the hotel also means pronouncing the street name. Well, you may always try showing the name on your reservation confirmation, but a linguist and a teacher has an ambition to at least try. The first day of conference, or actually pre-conference workshop day, brought a whole lot of relief to my humiliated linguistic soul as I enrolled into survival Hungarian workshop. Judging by the fact that I'm back home, safe & sound, well... I survived! And it was rewarding, though the waitress at a restaurant which we went to with the Hungarian learners group after our workshop had most probably more fun than we did, when we started taking out our A-4 size notes & stuttering the Hungarian names. Still, although the conference venue place name did attract a lot of attention of the majority of the participants, the conference was not only about mastering Hungarian sounds & place names. We have witnessed many presentations worth mentioning. Let me present my perspective. There were two presentations on SACODEYL, a truly paneuropean project worth following. One was organized within the educational showcases time span, and presented by Ylva Berglund Prytz from University of Oxford. The other was a paper presented by Johannes Widmann from Tübingen University. I'm a corpus linguist myself, therefore those presentations attracted y attention in particular. But I deeply believe all educators should know more about corpora, and their potential for the classroom. The presentations above gave us quite an insight into what it is all about. Thanks to Alistair Campbell, from Tokyo University of Technology, I have also discovered for myself the possibility of voice morphing for classroom use. It is a wonderful world we live in that we no longer need to say �too bad this poor student is afraid to speak in public�. I will definitely try voice morphing in class this coming academic year. Mind you, it does not require any financial investment. �Only� time. I know, we all have so little of it, but traditional teaching is truly out of fashion. If it's not us who try to change the educational scene, someone else will do it for us. So it's worth a try. Voice morphing is one thing, but podcasting  also had its time- and it was not at all about those podcasts which you can easily download, but the ones generated by students themselves. I cannot imagine a student saying it's boring, or nonsense, to do such a thing for their project. Most of students do like to personalise their learning content. To my great joy, there were more presentations dealing with corpora than the already mentioned SACODEYL project and one of my own, dealing with spoken learner corpus analysis. Some were quite technical in content, like the one by Kazuaki Goto from Osaka University, who discussed automatic detection of relevance collocations in English. Dr Silvia Molina referred to English and Spanish collocations being compared in BNC and a comparable Spanish language corpus called CREA. And that was only the first day of the conference, wow! And these are only a section of what was happening on Thursday, but you need to make a choice when there are seven presentations taking place at the same time. Friday started with a novelty for me. The idea of "Kibbitzer pages", presented on Friday by Hilary Nesi, from Coventry University, UK, was, admittedly, one. I decided it's worth passing the news on to university colleagues who teach writing skills. It was also a pleasure listening to the presentation by Michael Barlow on corpora and e-learning, especially because I had been waiting for his Wednesday workshop which did not take place due to flight delays. But what was even nicer, was that he was so kind as to show me the collocatations programme and how how it works. And so I did take a look at it, unfortunately for me, during the annual general meeting, when it was announced that it was I who had been awarded the János Kohn scholarship this year. Well, I can only repeat that I am truly sorry I was not there. The presence of the final two sessions on Saturday afternoon confirmed the quality of the conference- good �till the last drop� so to say. Sarka Jezkova's  presentation convinced me that grammar taught to university students needs not be dull at all. And by engaging students in peer teaching (similarly to the podcasting experience) the teacher ensures a lively and effective class. As to screen capture software used for student feedback , it looks quite seducing, but it does involve money, and seemingly there are alternative, not very difficult, routes to giving the same kind of feedback to the students. If you attended other presentations at the expense of those mentioned above, I do encourage you to download the podcasts that are available or to contact the authors for details. I'm sure they'll be glad to respond. Thinking of the conference theme: �New competencies & social spaces�, it strikes me that it's the mobile devices competence that was the most discussed theme, initiated by Dr Agnes Kukulska-Hulme, and then, among others, continued in the panel discussion. Will mobile learning change our learning and teaching? Has it changed them already? I remember one speaker in the audience saying �what happened to the most mobile tool, the book?� Yes, it was really eye-opening. While thinking of OCLP laptops, ultra mobile PCs, tablet PCs, PDAs, smartphones, mobile phones, and all other state-of-the-art battery-operated pieces of equipment, we seem to have forgotten about the one that never needs socket adapters while we travel as it never needs recharging at all. As a final word, I would like to take this opportunity to publically thank the EuroCALL Executive Committee for awarding me the János Kohn scholarship. If it had not been for the award, I would not have been able to travel to Hungary, take part in all the wonderful presentations, to meet such nice people, and to present my own paper. I would especially like to thank Margaret Gammell for her countless e-mails, always so kind and helpful, and for helping me organise the trip to Hungary without any obstacles. Hopefully, see you all again next year at EuroCALL 2009 in Spain! 1. A topic presented simultaneously during two presentations: by Kirsten Söntgens (University of Southampton) and the other by a team of people: Charles Browne, Marc Menish, James W. Pagel (Meiji Gakuin University, Department of English - Aoyama Gakuin University, Department of Economics - Aoyama Gakuin University, College of Science and Engineering). 2. From University of Pardubice, CZ . The European Curricula in New Technologies and Language Teaching (ECNTLT) programme (Socrates, Comenius 2.1 Action, 2003-2006) dealt with the development of teacher-training curricula for the use of Information and Communications Technologies (ICT) in language teaching. Participating teams came from teacher training European institutions from twelve European countries. The main aim was to enable language teachers of different European languages, most noticeably of the less widely taught and spoken ones, to acquire the necessary knowledge and skills to effectively implement new technologies in their own classroom. The objectives were to produce European curricula leading to internationally recognised certificates in new technologies and language teaching. Within this European programme and based on the needs analysis carried out, the participating Cypriot team developed a curriculum which aimed to help teachers of Greek as an L2 in Cyprus acquire the necessary knowledge and skills to teach Greek as an L2 and at the same time implement new technologies in their own classroom. This paper presents the theoretical framework, and a description of the development, the pilot study and the initial evaluation of this curriculum. Key words: Second language; teacher training; new technologies. Second language teaching, learning and teacher training have been conducted through centuries through traditional methods, mainly with the use of printed material followed by visuals and sound (Richards & Rodgers, 2001). The technological revolution and particularly the one in the area of information and communications technologies came to add to that repertoire in extraordinary ways with new tools, independent of time and place (Chiristensen and Rice, 1996; Lam, 2000; Papadima-Sophocleous, 2000). Developments in L2 teaching have made it more than vital to keep professionals abreast with new material, approaches and tools, including the use of New Technologies. The European Union has sensed this need and has organised programmes to cater for such needs. One of them is Socrates, Comenius 2.1, European Curricula in New Technologies and Language Teaching (ECNTLT). Its aim was to develop modules to train L2 practicing teachers in the area of new technologies. Intercollege (University of Nicosia Cyprus as of September 2007) was one of the twelve partners of this project (Netherlands, Germany, Portugal, Spain, Italy, UK, Belgium, Lithuania, Hungary, Greece and Bulgaria.) The aim of the Cyprus team was to explore the needs of teachers teaching Greek as an L2 in Cyprus, establish their needs in ICT and develop teacher-training modules to cater for them. In theory, there are some basic techniques in L2 teacher training. We looked at and tried to incorporate Hirst's (2005) suggestions in the project, i.e. skill transfer, teacher-trainees' profile, knowing the aims, planning, implementation, keeping a balance of activities, material development, trainees' participation. Moreover, we looked at the suggestions of many experts in teacher training in various countries, who have recorded different topics they cover in teacher training (Doff 1988, Wallace 1991, Harmer 1991, 2001, Nunan 1991, Ur 1996, Carter and Nunan 2001, Richards and Renandya 2002) in order to determine which ones would suit our audience and aims. These included areas such as theories about language, language learning, and L2 learning, aims of language teaching, approaches, methods and techniques, psycholinguistics, bilingualism, sociolinguistics, the world of English, the students, the teachers, classroom management, student-teacher rapport, language description, educational technology and other educational material, pre-planning, planning and developing curricula, textbooks, lessons, weekly teaching, management, class dynamics, feedback, lesson content (curriculum, materials, topics, planning, development), marking (correcting mistakes), assessment (principles and techniques, characteristics, writing and marking tests and examination papers), self-assessment, further training, just to mention a few. The above topics dealing with L2 teacher training gave us an idea of the plethora of the areas needed to be dealt with in L2 teacher training. It was therefore important, when we planned the teacher-training curriculum to take them into consideration and select those which dealt with the specific needs of the programme in question and fitted within the time given for the training. Language teaching with the use of New Technologies presupposes a certain amount of knowledge of language teaching methods and good knowledge of the potentials of New Technologies, and the ability to link the two in a way that would serve L2 teaching and learning. In other words, New Technologies take L2 teaching and learning a step further from where the rest of the language teaching materials (printed, audio and visual) can lead us to. Computer Assisted Language Learning (CALL) is based on and has been evolving in parallel to modern L2 teaching methods (Warschauer 1996). The aim is not to use technology for the sake of using technology but for improving and serving L2 teaching and learning, taking into consideration the current theories and practices in L2 learning. Moreover, it is very important for the teacher to constantly keep abreast in CALL because developments happen continuously and very fast. Experts in L2 teacher training (Squires, 1991; Pennington, 1996; Boswood, 1997; Levy, 1997; Felix, 1998; Warchauer et al. 1996, 2000; Dudeney, 2000; Windeatt et. al. 2000, Buttler-Pascoe and Wiburg, 2003, Egbert, J. 2005) in many countries suggest and/or incorporate in their CALL programmes a selection of topics, which derive from theoretical suggestions in this area. Some of these are: Introduction to CALL, Communicative CALL, Using Technology to teach oral communication skills, Using technology to teach reading and writing, Culture, Community and Diverse Learners, Teaching writing in a language workshop, Projects with the use of Multimedia, The use of Internet, Electronic Mail, and conferencing in L2 teaching and learning, CD-ROM and website review and evaluation, website creation, cooperative learning and New Technologies, Using WebQuests, Wikis, Blogs, Web 2.0 technologies in language learning, Multimedia creation programmes and L2 teaching, L2 teaching and learning electronic material development, use of New Technologies in language marking, assessment, testing and evaluation. Following the principle that �teaching a language is not talking about the language but speaking the language�, (and as an extension to that, �training how to use ICT in L2 teaching is not talking about it but using ICT to train�), the approach of the Cyprus project evolved around using Greek as the language of communication, using language teaching methods as the techniques for teacher training, and using ICT in L2 teaching and teacher training to teach how to use ICT in L2 teaching. For this reason, we had to decide on two things: the content of the curriculum and the means of delivery. The programme was developed based on the specific needs of the teachers teaching Greek as an L2 in Cyprus and on the literature about L2 and CALL teacher training. It focused on theories and practices in L2 teaching and learning and the use of ICT in L2 teaching and learning (Richards & Rodgers 2001), with specific reference to teaching and learning Greek (Papadima-Sophocleous 2000). Theoretical issues which constituted the basic background of current practices in L2 and ICT/CALL were to be explored and at the same time, trainees were expected to be involved in activities and projects which would give them the opportunity to apply various theories through the creation of teaching and learning exercises, activities and material, relevant to their own needs and teaching realities. Teachers of Greek as an L2 in Cypriot schools (mainly government schools but also from private and afternoon schools) were the target group of this training project. According to the needs analysis carried out by Dr. Antroula Papakyriakou (2004), these teachers had Greek as their first language (L1), were philologists, and had been trained in teaching Greek as an L1. Most of them were graduates from Greek universities, and holders of four-year degrees from departments of Greek philology, without training in teaching Greek as a foreign or second language. This was mentioned many times as a problem during the interviews. The need to teach Greek as an L2 emerged suddenly in the last decade or so and as consequence, the system was not prepared to offer teachers training in this area. Teachers teaching Greek as an L2 used the communicative approach, as this was reflected in the teaching material prescribed by the Ministry of Education, however, they did not have any proper or systematic training to do so. At the same time, the majority of those teaching Greek as an L2 did not have satisfactory training in the use of ICT in language teaching. Although the technological infrastructure existed in schools in the form of Language Labs., a project initiated in 1996, according to a needs analysis, very few teachers used new technologies. According to data collected by the Ministry of Education and Culture, it was clear that there was a need for training teachers to incorporate ICT in their teaching. The main objectives of The use of ICT and Teaching Greek as a Second Language curriculum were to enable teachers of Greek as an L2 to acquire the necessary knowledge and skills to combine current teaching and learning practices in L2 and CALL, in other words the use of ICT in Greek as an L2. At the completion of the curriculum, the teacher-trainees were expected to develop awareness and the necessary skills in teaching Greek as an L2 with the use of ICT in their specific context. The ICT in Teaching Greek as an L2 curriculum, consisting of 3 modules, combined both L2 methodologies and ICT technical and methodological skills in order to meet the teachers' current needs in teaching Greek as an L2 and the use of ICT. It involved learning about theories and practices in teaching and learning an L2 and the use of ICT in L2, with specific reference to teaching Greek as an L2. Teacher-trainers were expected to explore theoretical issues which form the background knowledge of current practices in both L2 and ICT/CALL and then involve themselves in activities and projects that would enable them to explore such theories and put them into practices, relevant to their teaching needs and realities. Tables 1 and 2 briefly summarise the content of the curriculum. Current Theories and Practices in L2 Teaching. Basic knowledge and skills in Teaching L2: needs analysis (characteristics of setting, students, teachers, etc.) teaching speaking, listening, reading, writing, vocabulary, grammar, culture, planning lessons, etc. Criteria development for the evaluation of L2 printed material. Evaluation of printed material for the teaching of GK as an L2. Deeper knowledge and extended skill development in teaching Greek as an L2. Theories and Practices in L2 Curriculum Development. Table 1: Greek L2 content per module. The use of ICT in general and in L2 in particular: historical overview. Basic knowledge and skills in the use of ICT in L2: hardware, software, saving, memory, networks, basic computer use, file management, and software in L2 (word processing functions as an L2 teaching and learning tool; very basic knowledge of Email and Internet functions and their use in L2 teaching and learning. Evaluation of electronic material for the teaching of Greek as an L2: CD ROM , web pages, etc. Use of various software such as word processing, email, websites, multimedia, etc. and how they can be used for the benefit of language learning. Further Internet use: research, electronic mail, etc. in the teaching of GK as an L2. Use of presentation software in the teaching of GK as an L2. ICT in the teaching of L2 in practice. Development of electronic material for the teaching of GK as an L2: planning and implementation: creation of an educational website, etc. Class record management with the use of software programmes such as Excel. Table 2: ICT content per module. Each 3 x 60-hour module consisted of eight weekly face-to-face training sessions at a school or at the training institution, alternating with eight weeks of individual work at home, which consisted of individual, collaborative and online work. Teacher-trainees were expected to perform activities such as reading relevant information and literature, writing assignments, exploring resources, and putting theory into practice by carrying out relevant tasks. Each module started with an introductory session and ended with a final meeting in which the activities were presented to other colleagues and the school management. For both theoretical and practical reasons, the training was supported online through the use of ICT. On the programme website, trainees could find the curriculum description and the three modules alongside links, materials, instructions, and a list of participants' names and email addresses. Trainee-trainer and trainee-trainee would communicate via email and other electronic devices. In that way, they would put into practice what they learned in both L2 teacher training and the use of ICT in L2 teaching. The trainees could directly use the activities they would develop, for their immediate teaching needs. They could also share them. The intention was to upload them so that all trainees could have access to them. The development of the content was carried out bearing in mind the type of teacher trainers who would participate. The website interface (Shneiderman 1997) aimed at providing a logical, useful and easy interactive learning environment. The use of other communication tools was integrated in a friendly and useful way, demonstrating at the same time ways they can be used for language teaching and learning. Every effort was made to select the hierarchical material and interface menus presentation, organisation of services and an appropriate user glossary and icons in a way that would facilitate not only teacher training but an awareness and understanding of how ICT can be used in teaching in a friendly, supportive, interactive and fruitful way. The teacher-trainees were expected to receive continuous work assessment throughout each module and grades on completion of each module and the entire curriculum. Continuous feedback was to be given from the trainer on weekly tasks during the whole duration of the programme in person and through email or other electronic communication devices. The final mark for all three modules would be the average of the final marks of all three modules.  Overall Quality of design: she found that all three modules and the curriculum show an excellent (5) structure of didactic progress.  Curriculum coherence: she found that all three modules constitute an excellent (4) coherent curriculum.  Clarity of instructions and presentation: she found that in all hree modules, it was very clear (4) what trainees were supposed to do.  Effectiveness: she found that all three modules and the curriculum achieve the stated aims in an excellent (5).  Up-to-dateness: she found that the modules contain very good up-to-date information (4). Total marks: 105 out of 110. She accepted module one with minor moderations. These mainly had to do with the request to clarify the differences of the definitions of "mother tongue", "first", "foreign", and "second language". She accepted modules 2 and 3 and the curriculum as a whole as they stood.  Parallel training in the conventional way (how much time will be decided), which would answer to the particular needs of the audience.  The development of notes or a textbook related to the training topics.  Organisation of many workshops on various topics. The external examiner noted that the programme was pioneering in the area of teaching Greek as an L2/FL (an area which has hardly been touched so far), and in the area of suggestions to problems facing all those who teach Greek to both students of Greek background who live overseas or to students of non-Greek background. The Greek as an L2/FL and ICT curriculum was presented to five female teachers of Greek as an L2 at a private high school in Limassol, Cyprus. Participants were given a pre-questionnaire to complete before attending the presentation. Section A of the questionnaire sought basic biodata, section B and C information relating to their educational background as teachers of Greek as an L2, and their use of ICT in teaching. Figure 1: Knowledge of Greek. Much literature in L2 teaching and CALL is in English. For this reason we wanted to establish the participants' language competence in English. Therefore, participants were asked to evaluate their knowledge of English. Three of them had excellent listening and reading skills, and one had excellent writing skills. Three of them had good speaking and writing skills and two had good listening and reading skills. Two participants had average speaking skills. Figure 2: Knowledge of English. Participants were also asked if they knew any other languages. One participant said she knew French: (listening average, speaking and writing a little). University Training in teaching Greek as an L2/FL in particular. Seminars in teaching Greek as an L2/FL in particular. Only one participant had been trained in all four areas when she lived, studied and worked in Australia although the training had taken place a long time ago. The five participants did not have any training in teaching Greek as an L2 using the Communicative Method. Then they were asked how much they included the following in their teaching: listening, speaking, reading, writing, pronunciation, grammar, vocabulary, culture, other. Only the person trained in Australia responded to this question (grammar and writing: a little; reading comprehension and pronunciation: average; listening, speaking, vocabulary and culture a lot. She was also the only one who indicated what types of texts she included in her teaching: letters, novels, reports and sport or other event coverage: a little; news, wishing cards, emails, poems, stories, jokes and films: average; songs and myths: often; dialogue and discussion: very often. She was again the only one who indicated the topics included in her teaching: family, house, neighbourhood, town, country: average; school, sports, music, customs, theatre, environment, painting, prominent Greeks: often; history, dancing, animals: very often. Participants were asked how often they used various types of software such as word processors, PowerPoint, Excel, Access, Front Page Internet, e-mail, chat, audio or video conferencing, e-mail lists, news groups, image or audio editors. The most commonly used programmes were word processor, then the Internet and then e-mail (Figure 3). Figure 3: ICT programme use. Participants were asked how comfortably they felt using these software programmes (Figure 4). Most of them were comfortable with the word processor, then the Internet and then e-mail. Figure 4: ICT programme use. The participants were then asked which of these programmes they use in their teaching of Greek as an L2/FL and which ones are used by their students as learning tools. Most of them did not respond to these questions. One mentioned the word processor and the Internet were used very often by her students and another participant mentioned the word processor and Excel as being used by her students moderately and the Internet often. The curriculum and the three modules were then presented to the participants online. After that they were given a post-presentation questionnaire to establish their impressions and future intentions. All of the them were interested in participating in such a seminar and stated that such a programme would be part of their professional development. Participants were also asked about their expectations regarding the programme if they were to follow it. Three of them stated it would help them very much in general terms and two, that it would help them very much in their teaching. Two responded they would learn very much and two, much of what they need in teaching Greek as an L2, and one did not respond. Three responded that they would learn a lot in relation to teaching Greek as an L2 with the use of ICT, and two did not respond (Figure 5). Participants felt the programme design, content presentation, online delivery and presentation were good or very good (Figure 6). The majority of the participants felt that the programme could achieve its aims and within the planned 180 hour-time frame (Figure 7). Most participants felt comfortable or very comfortable with the on campus/online delivery mode. Their overall programme impressions were good or excellent (Figure 8). To the Open-ended question �Would this seminar cover your needs?�, three participants said most definitely, one said she would like to see the details of what was briefly presented in the presentation and another one said she would like to see similar, more general seminars, so that they could cover other subjects. As we can see from the information above, there is a clear need and an interest on behalf of the teachers to be trained in teaching Greek as an L2 and ICT. In Cyprus teachers of secondary education have to attend a certain number of officially accredited training courses before they become tenured. Up until recently, the Pedagogical Institute has the exclusive privilege of offering the courses that are recognised as accredited for the pre-service training as well as for the stage before becoming tenured. The Government University of Cyprus has recently been asked to offer such courses as well. Several teachers have already expressed their interest in our programme. The University of Nicosia would aim to offer these modules as part of the official accredited teacher training scheme. Every effort was made to combine theory and practice in L2 teacher training and the use of ICT in the delivery of this ECNTLT teacher-training programme, tailored for the specific needs of teachers teaching Greek as an L2 in Cyprus. We believe that the application of theory during training makes trainees feel more comfortable with it, and more prepared not only to accept it, but also to implement it in their everyday practice. The next step is to trial the programme at a larger scale, and evaluate it. Some changes may need to be introduced as a result of that and as a result of the constant changes arising in both L2 and the use of New Technologies in language teaching and learning, before starting to implement it. Boswood, T. (ed.) (1997) New Ways of Using Computers in Language Teaching. TESOL Series II Innovative Classroom Techniques, Jack C. Richards, Series Editor. Butler-Pascoe, M. E. & Wiburg, K. M. (2003) Technology and Teaching English Language Learners. Pearson Education Inc.
Carter, R. & Nunan, D. (2001) The Cambridge Guide to Teaching English to Speakers of Other Languages. Cambridge: Cambridge University Press. Doff, A. (1988) Teach English: A Training Course for Teachers. Cambridge: Cambridge University Press. Dudeney, G. (2000) The Internet and the Language Classroom. Cambridge: Cambridge University Press. Egbert, J. (2005) CALL Essentials. Principles and Practice in CALL Classrooms. TESOL Inc.
European Commission. Socrates Programme, Application Form for Full Proposals, Comenius 2.1 Action (Training of School Education Staff) 2003. Felix , U. (1998) Virtual Language Learning. Finding the gems amongst the pebbles. Language Australia Ltd.
Harmer, J. (2001) The Practice of English Language Teaching, Longman. Healey, D. (1995) Something to do on Tuesday. Athelstan Publications. Knezek, G., Chiristensen, R. & Rice, D. (1996) Changes in teacher attitudes during information technology training. Technolgoy and Teacher Education Annual: 1996, pp. 763-766. Ktoridou, D., Papadima-Sophocleous, S. & Papakyriakou, A. (2005) Web based second language and ICT teacher training, In: Chiarazzese, G. Allegra, M. Chifari, A. and Ottaviano, S. (Ed) Methods and Technologies for Learning . UK: WIT Press, WIT Transactions on Information and Communication Technologies, Vol. 34. Lam, Y. (2000) Technophilia v. technophobia: A preliminary look at why second language teachers do or do not use technology in their classrooms. Canadian Modern Language Review, 56, pp. 389-420. Levy, M. (1997) Computer-Assisted Language Learning. Oxford: Clarendon Paperbacks. Nunan, D. (1991) Language Teaching Methodology, a textbook for teachers. Phoenix ELT. Papadima-Sophocleous, S. (2000) Postgraduate studies by distance over the Internet: Postgraduate Diploma in Educational Studies: LOTE � Greek. Planning and Development. Proceedings of the Conference On Teaching Greek as a Foreign/second language, (eds.) Antonopoulou, N. Tsagalides, A. and Moumtzi, M. Centre of Greek Language: Salonica, pp. 257-266. Pennington, M. C. (1996) The Power of CALL. Athelstan USA. Richards, J.C. & Renandya, W. A. (eds.) (2002) Methodology in Language Teaching, Anthology of Current Practice. Cambridge: Cambridge University Press. Richards, J.C & Rodgers, T.S. (2001) Approaches and Methods in Language Teaching. 2nd edition. Cambridge: Cambridge University Press. Shneiderman, B. (1997) Designing the User Interface: Strategies for Effective Human-Computer Interaction. 3rd edition. Reading: Addison-Wesley. Squires, D. & McDougall A. (1994) Choosing and Using Educational Software, A teachers' Guide. The Falmer Press. Ur, P. (1996) A Course in Language Teaching, Practice and Theory.Cambridge Teacher Training and Development, Cambridge: Cambridge University Press. Wallace, M.J. (1991) Training Foreign Language Teachers, A reflective approach, Cambridge Teacher Training and Development, Cambridge: Cambridge University Press. Warschauer, M., Shetzer, H. & Meloni C. (2000) Internet for English Teaching. TESOL Inc. USA. Warschauer, M. (ed.) (1996) Telecollaboration in Foreign Language Learning. Second Language Teaching & Curriculum Center, University of Hawaii's at Manoa. Windeatt, S., Hardisty, D. & Eastement, D. (2000) The Internet. Oxford: Oxford University Press. Abstract: The Internet has inevitably led to new forms of plagiarism and cheating in foreign language written production such as copying text from the Web, from an essay mill or from a free online Machine Translation (MT) system's output and passing it as one's own. This article outlines the distinction between plagiarism as cheating and plagiarism as inadvertent �borrowing� presented by McGowan (2002) and focuses on free online MT as a new form of cheating in the language class. For this purpose, some suggestions as to how to tackle it are put forward together with some recommendations which will hopefully help to raise awareness of this growing problem in the language learning community. Keywords: free online machine translation, online resources, plagiarism, cheating, foreign language written production. New generations of users/language learners have become more and more proficient in the art of exploiting the Internet mine and they have soon learnt the good and the not so licitous ways to use it. One of the not-so-welcome practices consists of copying and pasting text from the Web and passing it off as their own. We call �plagiarism' the unattributed use of sentences/phrases that may originate from any source. This has become a controversial issue in HE, not only for non-English natives but also for foreign language learners of languages other than English. Apart from useful online resources for language learning such as search engines, dictionaries, newspapers, encyclopaedias, blogs, pocasts, etc. the Internet has also proliferated the use of essay mills or free online machine translation (MT) websites such as Babelfish (http://uk.babelfish.yahoo.com/translate_txt), Systransoft (http://www.systran.co.uk/), Google's Language Tools (http://www.google.com/language_tools?hl=EN) or Freetranslation (http://www.freetranslation.com/) to name just a few. Figure 1: Screenshot of Babelfish a popular free online MT system powered by the SYSTRAN translation engine. This has made plagiarism easier, especially for weak language students who feel tempted to enter the text they want to express in the foreign language in their L1 for the system to translate at a mouse click. In this article we will address the problematic issue of plagiarism as cheating, online resources and foreign language learning. We will make particular emphasis on free online machine translation and how its use by foreign language students has made an impact on foreign language teaching and learning. In particular we will focus on how it has affected foreign language written production i.e. translation into the foreign language and foreign language writing assignments. According to Wikipedia plagiarism is �the unauthorized use or close imitation of the language and thoughts of another author and the representation of them as one's own original work�. In the language learning context it is sometimes difficult to distinguish between plagiarism as cheating or plagiarism as inadverted �borrowing' as pointed out by McGowan (2002). Within the first clasification she includes copying a whole paper from a fellow student, presenting a paper taken from an obscure source as one's own, buying a paper online or cutting and pasting large sections from Internet or other electronic or hard-copy sources. Within the second clasification she includes paraphrasing or summarising ideas without referencing or citing exact words without the use of quotation marks. McGowan (2002) focuses on separating cheating from language development and states that inadvertent �borrowing' can be converted into conscious language development via genre and structure analysis. By identifying and using authentic language items of the genre as models the students can extend their stock of re-usable phrases or sentences from authentic examples in their own field of learning and research, to develop awareness of what is appropriate in a given context and to deduct from the examples what is not appropriate within that context. All in all, as Pennycock (1996:227) recognised, �all language learning is to some extent a process of borrowing others' words and we need to be flexible, not dogmatic, about where we draw boundaries between acceptable and unacceptable textual borrowings�. In this sense Pennycock (1996) agrees that plagiarism needs to be understood in terms of complex relationships between text, memory and learning and acknowledges the distinction between plagiarising ideas and plagiarising language. This is crucial for language learning for most of the policies on academic misconduct refer to the concept of plagiarising content or ideas but not so much to the concept of plagiarising language, although we agree that language learning is integral to content learning, especially in learning languages for specific purposes. This is especially crucial for international students and students from language backgrounds other than English who may be learning a particular subject together with the specialised language associated with it at the same time. The reasons why students may plagiarise are varied: They may not be aware that they are plagiarising, they may have not received an adequate training in academic writing and referencing, they may have poor time management skills or fear of failure. Nelson (2002) cites the following causes for what he refers to as unintentional plagiarism: lack of knowledge/understanding of referencing mechanics, lack of knowledge/understanding of �western' academic convention and practices, certain assessment tasks lead easily to unintentional plagiarism, �reverence' for authority (in some cultural traditions copying is seen as a sign of respect for teachers' and scholarly experts), assumption that learning is simply a process of learning facts, not something acquired through analysis and critical evaluation, inexperienced writers (little grasp of the writing process), second language issues, dealing with specialised academic discourse, cultural and educational background issues, stress, and the fact that Universities and lecturers assume or expect students to be aware of the conventions in spite of this often not being the case. Any of these reasons may force students to find a quick product that can help them meet a particular deadline. As for the consequences of this practice for language learning, apart from being dishonest and unfair with the rest of the students, by copying a substantial amount of unattributed text the students are refraining from trying out their own language skills and often it can be the case that they can write a better piece than the plagiarized one provided that proper training, useful resources and reasonable time are allocated in advance. Last but not least, teaching students to use online resources sensibly can provide them with a sense of involvement that may minimize their desire to gain an unfair advantage over others. Pennycock (1996) mentions the following features of plagiarised work: cut and paste, no or insufficient citations, mechanial errors in referencing format and conventions, little analysis and synthesis of ideas and patchwriting, which Howard (1992:233) defines as �copying from a course text and then deleting some words, altering grammatical structure, or plugging in one-for-one synonyms substitutes�. These features may appear both in L1 and L2 plagiarised work, however, a considerable language mastery (extensiveness of vocabulary, skill in manipulation of syntax and familiarity with the many nuances of language) is required according to Maizey (2001) in order to reword ideas taken from research with sufficient distance from the original text to avoid plagiarism. Most HE institutions have a policy on plagiarism that reflects their position with respect to intellectual property and related matters such as copyright. Plagiarism involves presenting someone else's work as your own and, although not usually illegal, it is dishonest and regarded as a serious offence. From the tutor's point of view it is important to distinguish between minor and major plagiarism. The policy of the University of Manchester for example considers minor plagiarism to the unattributed use of a few sentences or a short paragraph, and major plagiarism when the students use more than one short paragraph unattributedly. The penalties for this breach of the intellectual property right range from a minimum zero mark for the work, down grading of degree class and even expulsion. Since the Internet is frequently the source of different types of copying and breach of copyright, policies on plagiarism should be particularly reinforced in the online environment. A useful set of guidelines can be found at http://www.jisc.ac.uk/media/documents/programmes/plagiarism/brookes.pdf. Using a free online MT system to write or to translate a text into an L2 and relying on this product as the ultimate version is not a licit and efficient form of progression in foreign language written production. MT systems are not designed to be used as computer assisted writing tools and, without proper guidance, using them for foreign language written production purposes can confuse the student even more. We should not confuse looking up a word, collocation or phrase in a dictionary, concordancer, verb conjugator or search engine to check whether it actually exists in the target language, with the unattributed copy of phrases and sentences translated by a free online MT system. The first practice is licit; it makes use of good models, well documented language resources that are reliable to check if a particular segment of text is correct after having made the effort of expressing them in the target language. The second practice does not involve any attempt of foreign language written production and does not guarantee that the resulting text is correct in the target language.  Become aware of this academic offence and learn ways to detect it.  Train learners to use references and online Internet resources appropriately. Sometimes it is difficult to distinguish free online MT output from genuine L2 students' work. This is also common with other sources of online plagiarism such as search engines or essay mills. The purposes may vary from a weak beginner student who wants an easy ride, to an advanced average student who has the ideas but wants to ensure grammatical, lexical and phraseological accuracy in a not very time consuming way. Good language learners know that they cannot only rely on a free online MT system to get their translation or foreign language/L2 writing assignments right. A good language learner should also be able to evaluate other resources, select them appropriately and acknowledge sources. Teachers can train students providing them with examples of what is and what is not plagiarism in order to prevent naïve plagiarism. Similarly, they can show students examples of both free online MT output and MT output produced by a commercial MT system. These samples can be from different language pairs, different language directions and different source texts for the students to realise what these systems can and cannot yet translate, how this technology is not designed for educational purposes and less in particular for foreign language written production and how more powerful systems in other contexts can still be useful for very particular purposes. For language tutors one of the most direct ways to detect L2 plagiarism or cheating via free online MT is to become familiar with the kind of errors these systems produce. Something characteristic in MT errors is their repetitive nature. Whereas, for example, language learners may or may not make pronoun or verb form mistakes when trying to write a consistent text for a particular register, MT systems will present the same error repeatedly. In general terms MT systems produce lexical, grammatical, discursive and spelling errors in this order of frequency. Subsequently, we mention some frequent error categories and examples (English into Spanish) associated to each error domain. 1. MT lexical errors are perhaps the most obvious for the tutor to distinguish from students' mistakes and include literal translation of words, phrases and sentences together with other error categories such as wrong sense, register, untranslated word, proper noun translated, nonsense, collocations, terminology or different meaning. Literal translation can be easily confused though with the students' interlanguage, especially at intermediate levels. Lexical errors such as wrong sense, untranslated word, proper noun translated, collocations, terminology, different meaning or wrong sense can be diminished in language students' written production if they are provided with relevant and useful resources that can help them prevent these mistakes happening. 2. MT grammatical errors are easily confusable with weak language students' mistakes. MT grammatical errors include categories such as prepositions, determiners, sentence structure, agreement, pronouns, verb tense, verb mode, verb form or number. Sometimes it is impossible to distinguish an MT output from a language students' output just by concentrating on this type of error. This provides a good argument for language tutors to convince students that free online MT systems often produce grammatically incorrect output and, therefore, it is worth applying the knowledge acquired in class to try and sort out the grammar challenges they may encounter in their written production tasks. 3. MT discursive errors include categories such as co-reference or connectives. More often than not these errors are a result of literal translation. Co-reference aspects such as anaphora, cataphora or agreement are better handled in complex rule-based commercial MT systems. 4. MT spelling errors are very limited and include categories such as punctuation, capitalization, letter omission, unnecessary letter or diacritical marks. These types of error are becoming less and less frequent thanks to the integration of spellcheckers in many commercial MT systems. As a general rule only weak beginners or intermediate students may try to use free online MT systems or even hand held translators as a quick solution to their foreign language writing assignments. For language tutors it is fundamental to be aware of this growing form of cheating. Section 7 presents some ideas to deter the use of free online MT for written production in the language class. Forms of online plagiarism such as copying intentionally or paraphrasing very closely the words of a particular author literally or semi-literally from the Web can be detected via source comparison, manual online search of characteristic sentences, stylometry or identifying a students' written production style via the compilation of substantial samples, or checking paper mills (check out the extensive and updated list created by The Coastal Carolina University (http://www.coastal.edu/library/presentations/mills2.html) and cheat sites (see some examples in the following link http://www.newfoundations.com/Cheatsite.html). Figure 2: Screenshot of Cheater.com. Yet another detection tool for online plagiarism is Turnitin (http://turnitin.com/static/home.html) , a web-based computer software program which checks submitted documents against a database of billions of pages of current and archived material including student papers and journals. This program then returns an Originality Report citing how much of the work is likely to be the students' own. On the automatic detection of the dishonest use of free online MT tools by language students, Somers et al. (2006) reported on a pilot study that made use of computational stylometry, plagiarism detection, text reuse and MT evaluation and involved 25 intermediate learners of Spanish, Italian and German who were native speakers of English. The results revealed that there are a variety of measures that can indicate that a translation has been produced unfairly using slightly edited free online MT output. Finally, the link www.plagiarism.org also provides some resources for both educators and students on how to identify and prevent various types of plagiarism. According to Pennycock (1996) plagiarism can be deterred by focusing on developing analytical and research skills in students e.g. setting well planned and meaningful writing tasks, making the assignment clear (topic, task, purpose, writing process and assessment criteria), scaffolding tasks (provide a clear framework and examples of the task to be completed), and providing a variety of examples/models for analysis and discussion. Grade Babelfish translations like any other. Treat the use of Babelfish like any other form of cheating, award no marks for it and impose the full weight of the Faculty's plagiarism policy. Give students only tricky texts, i.e. texts whose contexts, vocabulary, figurative language or unconventional constructions would make it impossible for Babelfish to earn a passing grade. Eliminate assignments altogether and require all translations to be done under exam conditions or have only one exam at the end of the session. Have regular lessons based on the deficiencies of MT. Point out to students that using Babelfish deprives them of opportunities for academic development. Focus the grading of student translations on the gap between Babelfish and a publishable professional human translation. Impose severe penalties on mistakes that are machine-generated. Require students to submit a draft of their translation prior to submitting the final version. Have students complete and submit a set of compulsory translations during the semester, but do not count the score towards their final grade for the semester. Award marks not only on the basis of the final examination. Have students complete translation tasks for assessment in regular class time. Use a Babelfish translation as the starting point for all translation assignments and only award marks for improvement made to it. These suggestions aim at minimising the risk of students taking advantage of BabelFish or other free online MT tools to avoid working on their language learning and translation assignments. The author recognises that these might prevent students from developing their full potential, but at the same time recognises the instructional value of working with the students to explain the deficiencies of free online MT and raise their awareness as to the potential and pitfalls of relying on these tools to prepare coursework with a view to encouraging academic honesty. The Internet has led to new forms of cheating for those students who are inclined to do so. In general three forms of online cheating in foreign language written production have been acknowledged, i.e. copying and pasting text from a search engine or website, the use of essay mills and the use of free online MT systems. This led us to the distinction between plagiarism as cheating versus plagiarism as inadverted �borrowing�, which is fundamental in the learning of specialist languages. Online cheating in the language class is contrary to language development and happens mainly because of poor time management skills or fear of failure by the students. After having outlined the features of plagiarised work and some notes on the application of plagiarism policies in HE, the topic of the misuse of free online MT in foreign language learning has been tackled with particular emphasis on how to detect, deter and deal with this type of online cheating in the language class with a view to increasing awareness among language tutors and students. Howard, R. (1992) A Plagiarism Pentimento. Journal of Teaching Writing, 11, pp. 233-243. Pennycock (1996) Borrowing Others' Words: Text, Ownership, Memory and Plagiarism. TESOL Quarterly, pp. 201-230. Somers, Gaspari and Niño (2006) Detecting Inappropriate Use of Free Online Machine Translation by Language Students: A Special Case of Plagiarism Detection. 11th Annual Conference of the European Association for Machine Translation - Proceedings (Oslo, Norway ), pp.41-48. In recent years, the Educational Testing System organisation has developed two models of the computer-based Test of English as a Foreign Language (TOEFL). However, the computerization of the test has shown a number of problems according to the testees' origin. This paper suggests some of these problems after conducting short interviews with four TOEFL teachers; i.e. problems in delivery, interface design and test taking contextual validity (Weir, 2005). These aspects and those presented in other educational systems need to be addressed in further research. The fact that TOEFL is only a compulsory test for those who wish to pursue further education in the USA cannot prevent ETS from ignoring the potential problems of the current model in different parts of the world. Thus, further research on this topic needs to be carried out in Europe and elsewhere. This paper also serves as a starting point for countries and institutions that may be considering the implementation of computer or Internet-based applications for high-stakes testing such as university entrance examinations. Keywords: CALL, Internet, testing, university entrance examinations. This paper intends to suggest the importance of addressing the cultural differences and national educational policies in relation to standardized tests, especially in TOEFL. According to García Laborda (2007), many high stakes tests have become computerized in the past decade, and some others are also planning to follow this direction. As a consequence, students need to address their study of second language (or foreign language) learning in different ways since test strategies and exam�examinee relationships have changed dramatically. The credibility and international recognition of the TOEFL exam largely depends on a fair application of rigorous measures of construct and content validity. To ensure the correct performance of the TOEFL test in the United States and abroad, ETS devotes a considerable amount of its budget to research that (as opposed to IELTS) can be accessed free of charge on the company's website. This research, which is generally well planned and based on large samples, usually fails to be statistical and tends to look at the exam processes from a receptive perspective. A receptive perspective would be that of the incoming larger culture or linguistic location. For instance, when students take the TOEFL exam they need to adapt their language and testing skills to a North American format. This means that they may perhaps need to change their learning skills and their approach to test-taking and adapt to what the test administrators believe is most appropriate in terms of testing knowledge. Of course, a high stakes exam like this has its own philosophy on how students will have to use the language at the time of the test and once they are admitted into an English speaking academic environment. However, this perspective tends to ignore the emitting countries' conventions, constraints and uses of foreign language teaching. Since the construct of TOEFL is very clear, well defined (and refined) and is in a constant revision process, it would be difficult to deny that the test matches its administrators' purposes. However, is it not a fact that students need to adapt themselves to the test rather than being assessed or diagnosed fairly in a global educational world? Opposed to a utilitarian approach, which has been mainly supported by those who establish a difference between assessing English as a second language and English as a foreign language (Al-Musawi, 2001), there is another trend of researchers and teachers who believe that students need to be assessed of their language skills despite the use that the foreign language will have. However, since this paper intends to address the TOEFL test, these two opposed perspectives will be left aside. Nevertheless, the first ethnocentric approach certainly affects the candidates who register for the test every year. Furthermore, this point of view affects two main matters that have become the landmarks of the exam since 1998 such as computer literacy or perception of audiovisual repertoires that are included in the test. These matters obviously affect students according to their language and culture. This paper will suggest ways in which the current TOEFL test may discourage Spanish students from taking the exam as a part of the requirements to pursue university graduate and undergraduate studies in the United States. This research points out two main aspects that may affect TOEFL; on the one hand, the possibility of some students choosing to take other diagnostic tests such as IELTS or any other that may fit the students' cognitive style more appropriately (see a list in García Laborda, 2007); and on the other that, although TOEFL is a non-profit organisation, it encompasses a large number of linguists, office assistants, researchers and workers that may be affected by a lower number of candidates than expected. 2. Why is TOEFL harder for the Spanish candidates? Since 1998, the TOEFL test has progressively undergone a number of changes. That year the Educational Testing Service (ETS) began to computerise the traditional pen and paper test. Of course, a number of trials and studies were conducted to observe whether it was possible to automate the test and if the results were similar. At that time reports showed that when students were computer literate the differences were minimal, and consequently the Computer Based TOEFL (CB TOEFL) (Netten, 2000; Banerjee & Clapham, 2003) was implemented and operative by 2001. Progressively, the test items became richer and an audiovisual repertoire was included as prompts in the test. The items supported by audio recordings soon included videos as well (Ginther, 2002). In the first years of the new millennium ETS started to consider going online, and finally in September 2005 the new Internet Based TOEFL became operative. Apparently, the new TOEFL (as it is commonly called) had a number of constraints at the beginning but these constraints have apparently been solved. Today, the iBT TOEFL coexists with the traditional pen and paper test although it is expected that sooner or later the pen and paper TOEFL will be discontinued. Listening passages mimic college lectures and follow more �natural� speech patterns, including pauses, corrections, and grammatical errors. Reading passages are more academic in nature to better reflect college reading assignments, and students have access to a glossary. Grammar skills are tested throughout the test. There is one 30-minute, and one 20-minute essay. Six open-ended speaking questions require test takers to speak into a microphone. Some sections of the iBT combine four basic communication skills. For example, a test taker might listen to a lecture and read a passage, then write or speak about it. 1-120 (human graders for essay and speaking section). Online score reporting allows students to view their scores at the end of the test. 2.2 How are Spanish students affected by the iBT TOEFL format? As mentioned in the introduction of this paper, ETS takes careful measures to ensure the validity of the test. In fact, a large number of researchers devote part of their research to analysing the test and its candidates form different perspectives. Unfortunately, most of them are quantitative and based on large and, more often than not, only on statistical analysis that supposedly supports ETS's methods and procedure but provides little information to the general practitioners (especially because most of these reports and papers require an advanced knowledge in statistics). As a consequence, except for large groups of students, generally from Asia, cross cultural studies are far more frequent than qualitative studies centred on just one nationality, and how differently examinees from different parts of the world behave in the test. The key issue of this paper is how Spanish students are affected by the iBT TOEFL format. At this point, I am unable to know the exact number of Spanish students who take the TOEFL exam every year but certainly although not the largest, it is not the smallest either. One of the issues that very few testing organisations have researched is the state of education in the candidate's country of origin. In the case of Spanish students, there are relevant factors that may certainly bias or modify their results. The Spanish educational system requires between 9 and 12 years of study of a second language, mostly English. Additionally, students entering the university are required to take a test of the same foreign language. However, because of the way English is taught in primary and secondary education and the washback effect that this has on the way English is taught during the last two years at school is the reason why there are no specific oral requirements and written production is limited to short compositions on general topics with which the students are acquainted. Another issue that may account for inferences in this issue is the students' level of computer literacy. Although some studies have addressed this issue, university students in Spain do not seem to show the same computer capabilities as other students in Europe or in the United States.  Constraints with the classroom setting. Constraints in equating their results across the four skills: One of the major concerns for ETS is finding ways in which the results can be representative of the L2 knowledge and then equated to obtain just one mark for the test as a whole. This has led ETS to move from adaptive testing (in CB TOEFL) to regular testing in which all the items are considered evenly (iB TOEFL). Likewise, Spanish students who according to the PISA report are among the lowest achievers in foreign languages and verbal expression in Europe may face difficulties especially when writing and speaking while they may excel in grammar (which is unfortunately greatly emphasised in Spain). Thus, many Spanish students may show great discrepancies between the different language cognitive skills. This fact may not only have serious consequences on Spanish students but also on students from other origins (Takanashi, 2004). Constraints in adapting to computer environments: The second issue is whether students all over the world have similar computer skills. Previous reports by Manalo & Wolfe (2000) and Taylor, Eignor & Jamieson (2000) have suggested that computer skills vary according to different academic environments and cultures. Reports in Spain show that students have limited computer skills, and although they may prepare their papers using word processors (mostly MSWord or Open Word), they also rely on programme-provided support that they are not likely to have in a test situation (for instance, spelling checkers or grammar tutors). Additionally, students taking the iBT TOEFL are required to use an American keyboard and although there seem to be no studies focussing specifically on this problem, probably adapting to the new keyboard means slowing typing speed and maybe having to monitor one's typing more often and undertaking different writing strategies. All of these aspects may certainly affect the student's performance negatively. Moreover, some students may be more familiar with computer use in academic settings than others because the degree of computer implementation varies significantly between schools, local and regional boards of schools, etc. TOEFL administrators should also pay attention to the fact that students who feel more confident working with computers will certainly develop more and stronger learning strategies adapted to this environment, and will benefit from using computers in their tests more than the other candidates. There is also another issue relating to computer use that is currently scarcely addressed; i.e. anxiety towards the use of computers. Since some students' performance with computers may be below average, they may feel threatened by the presence of other class mates in the training courses and thus intimidated by having to take the exam in a context in which they �feel alien�. So far, ETS has done a good job by allowing students to choose between the computerised or the pen-and-paper versions of the TOEFL test but if the intention in the future is to eliminate the latter progressively, will all the students be tested only on their language knowledge and skills? Constraints in adaptation to test interfaces: García Laborda & Magal Royo (2007) suggest that interfaces can establish differences between users and cultures since the perception of interfaces is clearly influenced by the natural reading movement (right to left or left to right), visual culture (eastern versus western) or even cognitive styles. Additionally, colours and fonts may also influence the student's adaptation to different interfaces but these are difficult to account for except for students with certain limitations (such as colour-blind candidates). Besides, the reading layout should also be considered. Lonsdale, Dyson & Reynolds (2006) consider that the way in which the reading elements are presented may produce significant changes in the score of a reading test. Constraints with the classroom setting: For Muroyama (2006), students tend to adapt their ways of learning to the format in which they will be assessed at the end of a period of instruction. Teachers also tend to adapt their teaching practices to that format (washback effect; Alderson y Hamp-Lyons, 1996; Green, 2005), as well as ETS introducing significant changes in the classrooms where students are to take the tests as an institutional policy. These changes tend to benefit the students but they establish high demands from the instructors and, in fact, TOEFL teachers now do not only need to be language experts but also be acquainted with the use of ICT in the classroom, otherwise secondary problems that the students may not be able to handle (due to their own limitations in computer use in academic environments) may arise. Students of different cultures may face different sorts of constraints when facing the pen-and-paper and iB TOEFL exam (Leeson, 2006). ETS has made limited efforts to account for these difficulties and has kept a rather conservative attitude expecting students to change rather than making an effort to understand the candidates' problems and peculiarities. In fact, statistical research plays a significant role in justifying this conservatism in their educational policies. The idea that if foreign students intend to study in the United States they have to be tested according to what they are going to see and live in the academic and everyday life in the US seems old fashioned and to a certain extent authoritative, especially when students are supposed to prove their English knowledge and not their overall language, academic and computer skills (otherwise, why have tests like the Graduate Record Examination?). Although the iB TOEFL exam is well planned and developed it may perhaps not be efficient in assessing a number of students worldwide who may have to choose another test in order to be accepted into North American higher education institutions or who may have to take internal tests organised by larger universities to facilitate their graduate students transition into the North American academic life. Thus, the co-existence of the pen-and-paper (and oral interview) version along with the new iB TOEFL test still seems necessary. Maybe shortly students from most countries will be able to take online tests but, up until now, this may not prove to be possible. If ETS does not want to miss educational, research and commercial opportunities, they certainly need to consider their examinees' realities and approach the problem of origin with an open mind rather than just a justifying thought of all the goods that these new iB TOEFL will certainly bring. In this sense, this paper is only a first approach and a call for more cultural and anthropological research that will, no doubt, benefit institutions and students alike. Al-Musawi, N. (2001) The validity of scores on TOEFL and FCE for predicting students' success at the university. Dirasat: Educational Sciences , 28(1), 117-126. Alderson, J. C. y Hamp-Lyons, L. (1996) TOEFL preparation courses: A study of washback. Language Testing , 13(3), 280-297. Banerjee, J., & Clapham, C. (2003) Test review: The TOEFL CBT (computer-based test). Language Testing , 20(1), 111-123. García Laborda, J. (2007) On the net: Introducing standardized ESL/EFL exams, Language learning and technology , 11(2), 3-9. García Laborda, J. y Magal Royo, M. T. (2007) "Diseño y validación de la plataforma PLEVALEX como respuesta a los retos de diseño de exámenes de idiomas para fines específicos", Ibérica, No. 14, Fall 2007, 79-98. Ginther, A. (2002) Context and content visuals and performance on listening comprehension stimuli. Language Testing , 19(2), 133-167. Green, T. (2005) Review of washback in language testing: Research contexts and methods. Language Testing , 22(4), 539-545. Lee, Y., Breland, H., & Muraki, E. (2005) Comparability of TOEFL CBT writing prompts for different native language groups. International Journal of Testing, 5(2), 131-158. Leeson, H. V. (2006) The mode effect: A literature review of human and technological issues in computerized testing. International Journal of Testing , 6(1), 1-24. Lonsdale, M. d. S., Dyson, M. C., & Reynolds, L. (2006) Reading in examination-type situations: The effects of text layout on performance. Journal of Research in Reading , 29(4), 433-453. Manalo, J. R. & Wolfe, E. W. (2000) A comparison of word-processed and handwritten essays written for the test of English as a foreign language . East Lansing: ERIC document nº ED443845. Murayama, K. (2006) "Adaptation to the test": A review of problems and perspectives. Japanese Journal of Educational Psychology , 54(2), 265-279. Netten, G. (2000) TOEFL introduces computerized exam in Asia. American Language Review , 4(5), 40-41. Taylor, C., Eignor, D., & Jamieson, J. (2000) Trends in computer use among international students. TESOL Quarterly , 34(3), 575-585. For quite sometime now, the Intelligent Computer-Assisted Language Learning (ICALL) community has been waiting for a book that would describe the advances of natural language processing (NLP) technology for CALL and its incorporation into software for language learning and instruction. Heift and Schulze (2008) propose to fill this gap by presenting the major developments in parser-based CALL. The book focuses on core issues of ICALL related to the development of intelligent language tutoring systems (ILTSs) that provide feedback on linguistic structures to foreign language students. Among its many virtues is the fact that the book presents a wide range of relevant bibliographical references and a thorough research of the field. Chapter 1 presents a general introduction to the book and to some of the terminology used. The authors briefly describe a controversial issue in ICALL: how intelligent and/or helpful ILTSs can be. They provide ample bibliographical references about the studies that have shown the importance of intelligent feedback in CALL, and how this type of feedback can be more advantageous to language learners. It is also in chapter 1 that Heift and Schulze defend their choice for using the expression �parser-based CALL� to replace ICALL, and �parser-based CALL systems� instead of ICALL systems. They argue that the expert module in ICALL systems is usually based on a parser, and they cite Holland et al. (1993), who explains that �the use of parsers in CALL is commonly referred to as intelligent CALL or ICALL�, and that ICALL �might be more accurately described as parser-based CALL, because its �intelligence' lies on the use of parsing� (Holland et al., 1993, p. 28). It is important to notice that this choice is not uncontroversial. Defining ICALL as �parser-based CALL� may narrow too much the field. There are examples of ICALL systems that use artificial intelligence (AI) technology and natural language processing (NLP) that do not rely on parsers. As the authors explain later in the book (pp. 25-30), parsers are usually the technology of choice when morpho-syntactic errors are targeted. A parser might not be present in systems that target other forms of language deviations. For example, ICALL systems in the form of games that provide intelligent feedback on pragmatically acceptable discourse structures, such as Herr Kommissar (DeSmedt, 1995), do not necessarily need to use parsers to identify morpho-syntactic errors. ICALL systems that use speech recognition to improve pronunciation are another example of NLP technology used in ICALL that is not parser-based (c.f., e.g., Lonsdale et al, 2008). Even when dealing with written language, there are specifically designed NLP components for ICALL to assess semantically appropriate answers that do not use parsers (c.f., e.g., Bailey, 2008). It is clear, though, that the main focus of the book is on parser-based CALL systems, and not on ICALL systems as a whole. Heift and Schulze begin chapter 2 reviewing the field of CALL and the influence its development has had from other disciplines, such as behavioral, developmental, cognitive, and learning psychology. They proceed with a general description of human language technology, including a brief look back on the development of computers and its influence on language processing. This section of the book helps the reader understand some of the current trends in CALL, such as the advance of computer-mediated communication (CMC) and web-based applications in language teaching and learning. It also provides a first glimpse on the controversial matters related to the use of AI technology in CALL. Section 2.3 focuses specifically on parser-based technology and CALL. 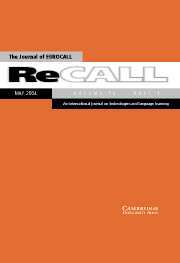 Throughout this section the authors emphasize the notion that parser-based CALL systems can play a significant role in the language learning process, and that ICALL can help in different learning contexts with or without communicative practice. In subsection 2.3.2, the authors discuss the importance of the grammar formalism used by a system. This subsection presents a general overlook of the major grammar formalisms used in NLP. However, due to the nature of the book, it is not possible to describe in detail each one of them. For readers without any NLP background, the discussion that follows may be a little hard to understand. There are enough bibliographical references for an interested reader to search the relevant information in other publications, though. When presenting the discussion about approaches to deal with ill-formed input, the authors seem a little too biased towards constraint-based approaches. They emphasize the drawbacks of rule-based parsing for ICALL, and highlight the degree of generality achieved by constraint relaxation. Theoretically all arguments presented are relevant, but despite the fact that they acknowledge that efficient disambiguation may be a problem for constraint relaxation approaches, it has yet to be shown that this approach can generate a grammar and a parser robust enough to be used in an ICALL system that deals with a large variety of activities and grammar errors whilst avoiding over-flagging. It is important to notice that Heift and Schulze do present the bibliographical references of the studies that show that constraint relaxation approaches can be problematic for ICALL due to low precision (c.f., e.g., Vandeventer, 2001). Chapter 3 deals with a central issue in ICALL development: Error Analysis . It is refreshing to read a text about Error Analysis by authors that have both the expertise in second language acquisition and ICALL. Heift and Schulze show that they are fully aware of the debate about the usefulness of error analysis in SLA, but they remind their readers that �the advent of electronic learner corpora and the need for elaborate error data in parser-based CALL research has recently sparked renewed interest in the methodologies employed by Error Analysis� (p.83). After presenting a discussion about the importance of designing specific spell and grammar checkers for foreign language learners, the authors present a detailed discussion about the history of Error Analysis. This section can be extremely useful for SLA students who are learning about ICALL, as well as more experienced readers who are interested in the importance of error classification for processing and research purposes. The chapter continues with a section on empirical studies followed by a section on learner corpus studies and CALL. Chapter 4 discusses in detail the role of feedback in ICALL. At the beginning of the chapter the authors define feedback, and illustrate how feedback usually works in a CALL system. This illustration is particularly useful for readers who are not familiar with CALL systems and the nature of its feedback messages. They continue with a section on feedback and human-computer interaction. They present an overview of the literature that compares human interaction with human-computer interaction, and focus on topics such as Activity Theory, and the role of dialogue systems in intelligent tutoring systems. Heift and Schulze present a discussion of the literature on feedback and learning in section 4.3, in which they consider some cognitive perspectives on the subject, as well as the role of reinforcement on learning. Section 4.4 briefly describes the role of feedback in SLA, and section 4.5 makes some considerations about feedback and formal grammar. The most important contribution of the chapter, however, is in section 4.6. Based on many empirical studies by Heift with the German Tutor (ICALL system) and her German students at Simon Frasier University, this section summarizes her findings and suggestions regarding: multiple errors, prioritization and individualization of feedback messages, feedback generation, error correction, and learner uptake. For readers who are not familiar with her work, this section provides an excellent overview of her research. The authors finish the chapter with some considerations about system design and feedback, mainly based on Heift's work and the German Tutor. Chapter 5 introduces the last major topic to ICALL systems: student modeling. As the authors acknowledge in the beginning of the chapter, �despite the need for an individualized learning environment, student modeling has not been the strong focus of CALL� (p.171). For a long time ICALL research was divided between those who worked on the development of domain knowledge modules, i.e. NLP for ill-formed constructions, and those who investigated ways to improve student models using systems without NLP. In the first part of the chapter, Heift and Schulze review some general bibliography on student modeling that is not necessarily ICALL related. This review serves as a general introduction to the topic for readers who are not familiar with student models for intelligent tutoring systems. They even include a discussion about initializing and maintaining student models, a topic that can be quite problematic for researchers and developers. Section 5.3 narrows down the presentation to student models specifically used in parser-based CALL systems. This section presents a thorough review of the bibliography in the field, including systems that use student models for improving disambiguation while parsing a student's sentence. Chapter 6 is the last chapter of the book. It shows the authors' view of the past and future of parser-based CALL research and development. Although Heift and Schulze are aware of the limitations and challenges in the field, they present a very positive view of the future of parser-based CALL. Their main argument is not only based on the development of technology. They believe that the advances in SLA have helped the integration of technology into foreign language teaching and learning. In general, Errors and Intelligence in Computer-Assisted Language Learning is an excellent introduction to parser-based CALL. The book is an accessible source of information to readers that are not fully familiarized with the field, and can be used by students and researchers who search for bibliographical references. Bailey, Stacy (2008) Content Assessment in Intelligent Computer-Aided Language Learning: Meaning Error Diagnosis for English as a Second Language. Ph.D. dissertation. Columbus, OH: The Ohio State University. DeSmedt, William (1995) Herr Kommissar. An ICALL Conversation Simulator for Intermediate German. In: Holland, V.M., Kaplan, J.D. and Sams, M.R. (eds. ), Intelligent Language Tutors: Theory Shaping Technology . Mahwah, NJ: Erlbaum Associates, 153-174. Holland, M., Maisano, R., Alderks, C. and Martin, J. (1993) Parsers in Tutors: What Are They Good For? CALICO Journal , 11(1): 28-46. Vandeventer, Anne (2001) Creating a Grammar Checker for CALL by Constraint Relaxation: A Feasibility Study. In: ReCALL , 13(1), 110-120. The EUROCALL CMC Special Interest Group (SIG) was formed at the 2007 EUROCALL conference in Coleraine (Northern Ireland), on the initiative of Robert O'Dowd. The aims of the SIG are �to provide EUROCALL members working in this area with a specialised forum for networking and collaboration with other colleagues as well as for professional development� and activities include organising regional workshops and encouraging members' to join each other's institutions. The SIG's first regional event was organised by Suzanne Cloke, Lisa Griggio, Sarah Guth and Francesca Helm with the support of the University of Padova Language Centre and co-funding by the Department of International Studies. In recent years CMC has taken on increasingly diverse forms, from e-mail, chat and online forums to social software (web 2.0) such as blogs and wikis, virtual worlds, desktop audio and video conferencing. These new forms of communication are becoming an integral part of modern life and are also finding their place in the language classroom, offering new modes of communication for engaging learners in authentic language learning experiences. CMC is, however, a relatively new development hence there is not a long history of practice in this field, and an even shorter history of research. For teachers this may present several concerns � Why should they be using CMC in language teaching? How can they best use it to improve the learning experience? Which technologies can or should they be using? For researchers too it opens up many avenues to explore. The event sought to address some of the issues mentioned above, not by providing answers to the questions, but by bringing together experts from European educational contexts to share examples of good practice in the use of CMC for language learning, teaching and research and by engaging participants in discussion of the issues involved. Talks and workshops were given by SIG members and others who responded to the call for papers and the event gathered over 60 participants both from Italy and abroad, with participants joining us from over ten different countries. Powerpoint presentations have been uploaded to the event website if anyone is interested in seeing them. The first day of the event was organised around workshops which aimed to give some practical ideas and experience of the opportunities offered by CMC. Sarah Guth and Lisa Griggio from the University of Padova held a workshop on Exploiting Web 2.0 for more effective and authentic CMC. A presentation giving an overview of some of the freely available Web 2.0 tools was followed by a discussion of how these tools could be exploited in different contexts to foster the creation of collaborative learning communities and enhance learner autonomy and information literacy. Also on Thursday morning Antje Neuhoff, of Dresden University of Technology in Germany, held a workshop on Collaborative assessment of oral language proficiency based on the CEF using CMC tools. First of all she illustrated the WEBCEF tool, developed in the context of an EU funded project, with several interesting examples of oral production assessment tasks followed by samples of student performance and collaborative assessment. Participants were then able to have hands-on experience of the tool in the computer lab, with groups of participants using WEBCEF to carry out their own assessments of the samples available. Participants saw how the use of CMC allows samples to be assessed by distant teachers and means that this tool will help develop a clearer understanding of the CEF descriptors through discussion and the creation of a community of practice (practitioners). The afternoon workshop session: Developing an online intercultural exchange: options and outcomes was run by Robert O'Dowd from the university of León in Spain who gave an overview of some of the different models of online intercultural exchange. He provided practical examples from previous exchanges, prompted ample discussion of the advantages and disadvantages of the different opportunities offered by different communication tools, task designs and evaluation methods. Participants were also given the time to collaboratively plan an outline for an online exchange suitable for their particular teaching contexts. The workshop session closed with a couple of show and tell presentations of online exchanges in school and university contexts. The following day and a half consisted of presentations on various themes relating to CMC and language learning and ample discussion during and after all of the presentations. The plenary session by Robert O'Dowd touched on some of the many thorny issues involved in assessment in online foreign language education, such as whether electronic literacies and intercultural competence and skills should or indeed can be formally assessed as well as what might now be considered �traditional' language competences. This issue was picked up on in Mirjam Hauck's presentation as she reported on how 'multimodal communicative competence' was one of the critical success factors in the internet-based intercultural exchange she looked at. The following two talks also looked at intercultural exchanges. First of all Marie-Therese Batardière and Catherine Jeanneau looking at a telecollaboration exchange between Irish university learners of French and native speakers and its impact on the learners' construction of knowledge of the target culture. Suzanne Cloke then looked at a different kind of telecollaboration exchange, the Padova-Sabanci exchange on the Interculture Wiki, in which the language used was English as a lingua franca (ELF) between Italian and Turkish learners of English as a foreign language. Given the widespread use of ELF in intercultural communication and particularly in CMC contexts, this model of telecollaboration is likely to become more widely adopted in the future. The next sessions focused on the use of CMC in different contexts, first of all high school contexts and then lifelong learning contexts. First of all Nicoletta Cuzzolin, a local high school teacher, explained how the use of an online environment led to an increase in student production, particularly for less confident students, both in the online and in the classroom context. Terry King then illustrated the Crosscall project which demonstrates how CMC can provide a truly authentic context for cross-sector communication between university students and language pupils in school, and how it has helped motivate and improve the performance of school language students. Linda Mesh showed how CMC fostered learner independence and the ability to use appropriate technologies for effective online study, interaction and collaboration among adult learners in hospitals and universities. Katherine Ackerley also looked at the use of CMC in an online course, but this time for school teachers and in particular at how forum tasks and oral-visual encounters in Flashmeeting increased learner confidence and removed feelings of isolation and de-motivation. The long day concluded with presentations on what many may imagine to be a place of leisure and diversion, the virtual world of Second Life. The presenters however demonstrated how Second Life can be a valuable learning environment. Mats Deutschmann and Luisa Panichi gave an overview of different courses on Kamimo, a virtual environment used for different learning activities. We were then taken to Kamimo to meet up with their colleagues' (David Richardson and Bryan Carter) avatars who gave further information about their courses. Luisa then looked more closely at students' perceptions of language learning in Second Life and factors which may influence the learning process. Alexander Maurizi showed a different environment in Second Life called SecondCLA and some of the activities that students at the University of Perugia 's Language Centre can participate in through their virtual language centre. A tour of EUROCALL's virtual headquarters in Second Life with a virtual, very sporty-looking Graham Davies was unfortunately disrupted by a technical hitch (we later discovered was due to Linden Lab upgrading their system) which meant we had no audio. This was a simple reminder that, as we all know, technology can let us down � and it was also a good excuse to end the day and go for our conference dinner. Surprisingly there were still many participants for the Saturday morning start which started with Antje Neuhoff's presentation of Medienpass, a trans-European teacher training instrument based on short online modules. The research strand started with Fiona Dalziel and Francesca Helm who illustrated how the electronic student output generated through CMC activities can be compiled in the form of a learner corpus, a valuable resource for research into language learning, but also a tool that allows teachers and students to 'focus on form', helping them to notice the gap between learner language and the target language. Mirjam Hauck's research instead focuses on affective and social challenges in an online telecollaboration exchange and the notion that strategies cannot be simply transferred from face to face to online environments but need to be tailored to the new environment. Jane Hughes also looked at strategies in online communication and how they are used in establishing an identity and projecting an image of oneself. She looked in particular at code-switching. The event ended with a panel discussion that began with the question � what is the target language and what are the skills and competences involved when using CMC for language learning? A lively discussion ensued involving not just members of the panel but most of the participants who had survived the two and a half day event. Throughout the event the sessions included lively discussions as well as the presentations, and awareness was raised of the many issues involved in the use of CMC in language learning contexts. Many contacts were made during the event and possibilities for future collaborations and projects were discussed. We'll see what fruits are borne from these in the SIG mailing list discussions, at EUROCALL in September in Hungary and hopefully at the next CMC SIG event. We would like to thank the EUROCALL committee for supporting and allowing us to use the EUROCALL network for supporting and advertising the event. We would also like to thank the SIG members who came and brought their expertise and ideas to Padova. We feel that through this event we have started to work towards meeting the aims of the SIG, developing a network of practitioners and making other teachers familiar with the EUROCALL network.